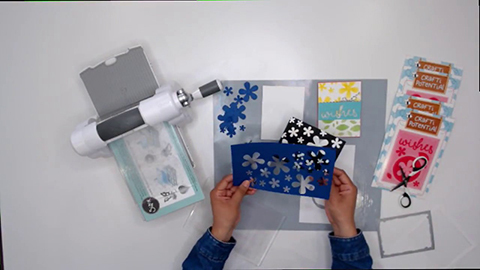 Our in-house craft designer, Janette Lane shares how to use texture paste with stencils to create a bright and springy card. 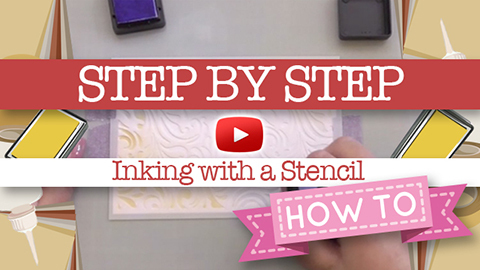 Stencils have so many uses, you can ink, paint, use texture paste or embossing paste, or even trace with them! Watch as she shares how to create a gorgeous card step by step using the brand new Apple Blossom 12 Months of Flowers, Daffodils! Start off with a piece white watercolour paper card trimmed down to your desired size. Use a Smoothie Blender and Distress Oxide Ink in the colour wild honey to create a yellow background. Concentrate the colour in some areas and blending them out. Use a water spritzer to create some fun water droplet “oxidation”. Use a stencil and baby wipe to create a design watermark. Make sure you’re dabbing and not doing circular motions..don’t rub, just dab.. Optional: You could also use another Distress Oxide Ink with the stencil to create a colourful background. You could also use a small wet sponge that’s not too sopping wet or a cloth. To add texture use some Cosmic Shimmer Multi Tex powder and mix it with water in a cup or bowl. It’s a great medium and you can add sprays or other inks to create various colours. You can use texture paste or embossing mousse to pair with your stencilling as well. Spray some ink spray mist to get some bold and bright colours. Spread your texture paste in a thin layer and work in one direction. When you’re done, let air dry for 30-45 minutes or use a heat tool.